Its official, the general Brazilian election campaigns begin next month. These elections will be very different from previous, given the law passed in 2015 that forbids private companies from donating to the electoral campaigns; donations that have always been the main form of electoral funding in Brazil. Unfortunately, this means that wealthy candidates will have the upper hand since they have the ability to fund their own campaign. Luis Inácio Lula da Silva: The former President who legally speaking, can´t run in the presidential elections. The Workers Party (Partido de los Trabajadores – PT) wants to keep Lula as its natural candidate to a) first prevent an attack on the PT candidate by the other candidates, and b) to prevent a dispersion of the PT party due to internal disputes. Lula has been in prison since last April to comply with a sentence of 12 years imprisonment for passive corruption and laundering money. Regardless of his imprisonment, he´s taking the lead in the polls with 30% of voting intention. Jair Bolsonaro: A member of the PSL – Socialist Liberal Party (Partido Socialista Liberal). While his spontaneity wins him some sympathy it also is a cause for concern amongst the others. Supporters consider him the only one who can put an end to the violence and corruption of the country; his critics fear that his hasty temper and lack of a strong economic program may lead the country into an economic crisis. Bolsonaro wishes to fight ‘fire with fire’ against crime in Brazil. Marina Silva: A historian and environmentalist who is a representative of the PT party, and was previously the Minister of the Environment. She is a recognized politician with no cases of corruption against her. Many believe she will fail to have enough support to make it to the second round, with only 13% of intended votes. Ciro Gomes: A member of the Worker Democratic Party (Partido Democrático Trabajador – PDT). He´s an attorney, has studied at Harvard and was a former Minister of Economy for ex-President Itamar Franco. It is possible that Gomes receives the votes of the PT party should Lula not run, making him a strong candidate for the Presidency in the second round. Geraldo Alckmin: He’s a doctor and university professor, belonging to the Socialist Democratic Brazilian party (Partido Socialista Democrático Brasileño – PSDB). He´s a former Governor of the State of São Paulo. Centre parties (DEM, PP, Solidariedade and PRB) have confirmed their support for him. Unlike past elections, this one is taking place in the midst of political conflict and social unrest. Curiously and despite this, FDI continues pouring into the economy. It seems that despite all, the region offers an attractive jurisdiction for foreign companies, given they have the right local support. Given legislative changes, this election will be much more restricted than the previous electoral races. Since recent law changes favour those individuals and parties already known by the voters, there will likely be no renewal in Congress, where there are approx. 150 parliamentarians accused of corruption. Brazilian Elections – Effects on FDI? 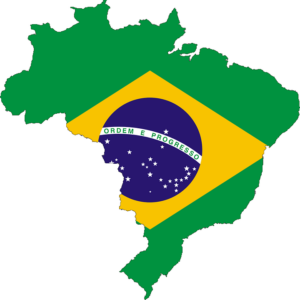 Brazil is the largest economy in LATAM, and the second in all of the Americas, after the United States. The country’s economy is showing signs of instability that has the potential to affect regional growth. The Central Bank of Brazil (BCB) downgraded its growth estimates for 2018 from 2.6% to 1.6%, mainly due to low activity and decreased business and consumer confidence. These upcoming presidential elections may be a defining factor for whether the economy recovers, remains stable or continues to decline. Although FDI fell from USD$97,000 million in 2014 to USD$70,000 million, important alliances with foreign companies have been signed. Petrobras (a Brazilian multinational corporation) signed a letter of intent to establish a partnership with China National Petroleum Corp (CNPC). Similarly, a preliminary agreement has been signed with Boeing for the creation of a joint venture in the commercial aviation industry, whose headquarters will be located in Brazil. This demonstrates that investor confidence has not been majorly affected by the upcoming elections and that private business still considers Brazil an attractive commercial jurisdiction. In the next few months, there may be legislative changes that could have an effect on both businesses in the region. Get in contact with Biz Latin Hub Country Manager, Bruno at [email protected] to learn how we can support you to mitigate business risk in Brazil.